Kingsbury High is proud to publish our Ofsted report following an inspection on 20th March. The inspection, which took place with one day’s notice, found that Kingsbury High remains a good school. The report expresses great confidence in the work of the school, led as it was at the time of the inspection by Ms Regan. I am particularly proud that the report remarks upon the improved progress made by students in the 2016 and 2017 GCSE examinations. These are the first two year groups to have moved all the way through what we call “the Kingsbury Curriculum”, starting with our Foundation Stage, the Kingsbury Guarantee and graduation. Further highlights in the report include the continued success of English, high levels of confidence among girls in Maths and the success we have with students from less advantaged backgrounds. I could go on but we have attached the report so that you can see for yourselves. It’s a great read! My congratulations to all students and staff who worked so hard for the results referred to, to all who have played a part in guiding the school through the four years since our last report and to our incredibly supportive parents. We share the ambitions you have for your sons and daughters and will do everything we can to push them to further successes. 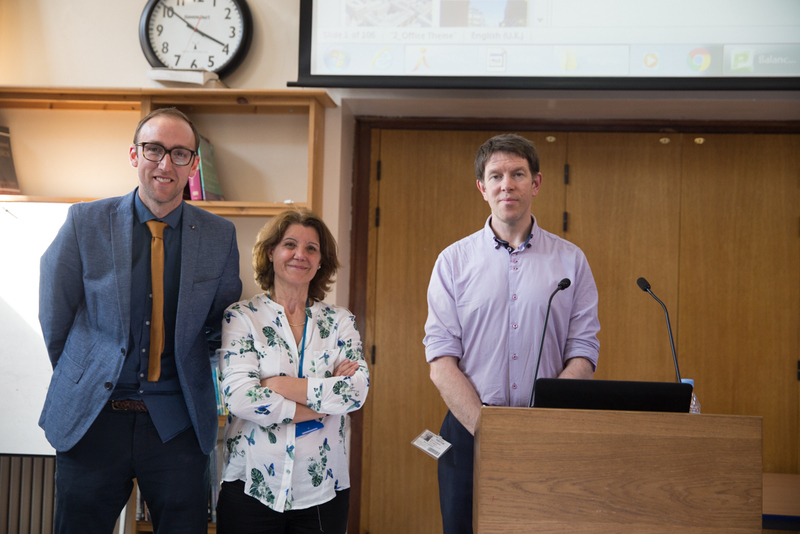 On Wednesday 18 April, Dr. Matthew Aldridge from UCLH Foundation Trust, delivered a lecture on the topic of Medical Physics. The lecture opened with an overview of the new Proton Beam Therapy Center, a multimillion-pound project that will be able to offer proton therapy, a new highly precise and effective form of radiology. From X-rays to PET scans or Gamma cameras, Dr Aldridge took the interested audience over the different imaging techniques which allow medical practitioners to “see” inside our bodies. He explained how Physicists are closely involved in assessing and treating patients. Medical Physics is one of the fastest growing areas of employment for physicists. Students received a detailed explanation of the different career options and the requirements to enter into the profession. Dr.Aldridge also told the students about the training programs which could lead to a to a career as a clinical or medical technologist. The lecture ended with an invitation to visit the medical physics facilities of UCLH which was very much appreciated by the students. The year 7’s have embarked on a really exciting project with James Redwood, The Royal Philharmonic Orchestra and Brent Music Service that is taking place during the Summer term. 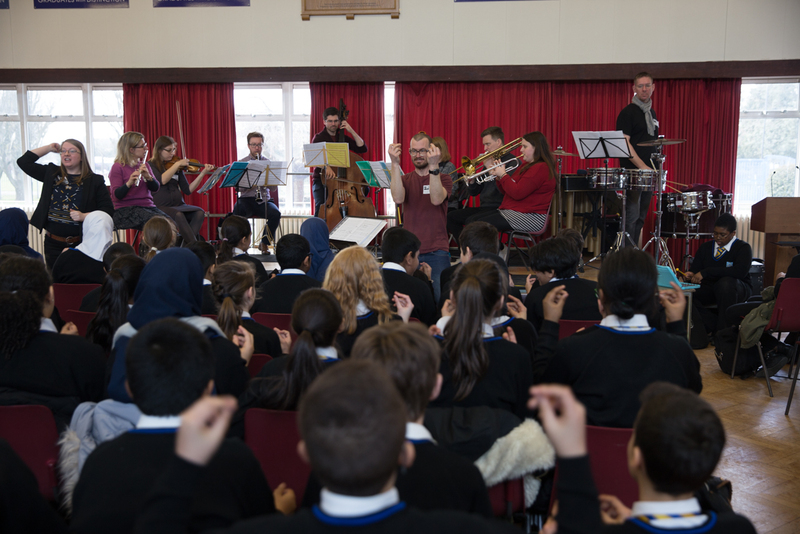 Students attended launch events on Monday 19th and Tuesday 20th April which involved starting to learn the project song and body percussion and listening to an octet of musicians from the Royal Philharmonic Orchestra. James Redwood returned to school with some of the musicians on Monday 16th and Tuesday 17th April to lead workshops with 6 of the year 7 forms. The project has a theme of Romeo and Juliet/West Side Story. 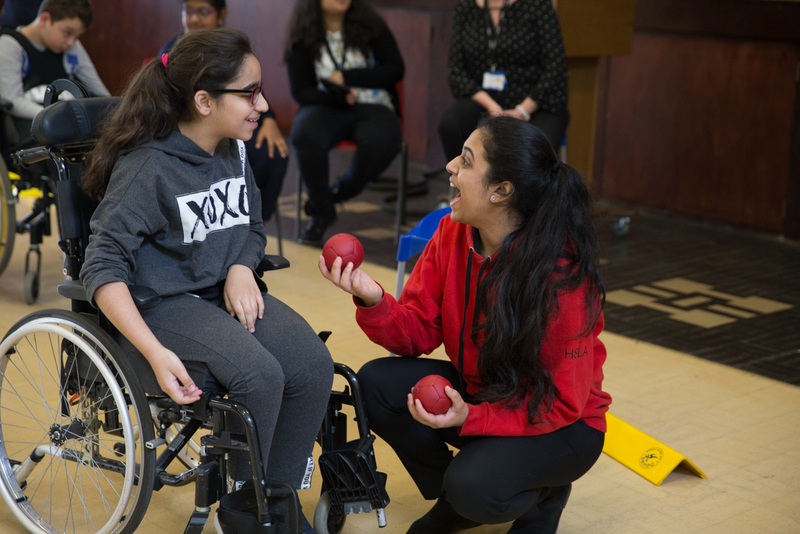 During the project students will learn and perform the project song Star crossed lovers, body percussion for the piece Mambo Time and each class will undertake a creative composition project. The classes will perform with the Royal Philharmonic Orchestra musicians later on in the term.